Incentive nights, product launches, promotion evenings, Christmas shindigs, staff parties and every manner of corporate event that you can think of is possible at Matt’s. We can do comedy, DJs, pop & rock covers bands, tribute bands, the best original singer songwriters and contemporary bands, Ireland's top trad acts, rodeo bulls, buckin' broncos, all manner of circus type performers and that’s just the entertainment! (Don’t forget, if you want to bring your band and/or DJ – that’s fine too. They can use our state of the art sound system). We can decorate Matt’s to any theme you like – Beach, Barn & Swash Buckling Pirates, Christmas, Halloween or Easter, Winter, Summer or Fall, White, Black or Red – just let us know what theme you’d like and we will be happy to deliver it for you. Of course no corporate event would be complete without the very best food & beverages. You are free to choose from our extensive list of menu options which include a variety of platter, buffet, Bar-B-Q and A La Carte options. 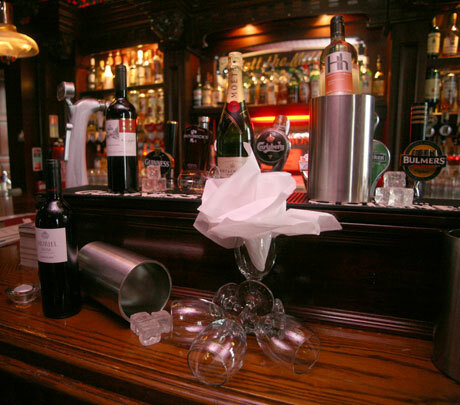 We are also happy to run a tab for you at any or all of our five bars (The Cellar Bar, The Main Bar, The Stage Bar, The Loft Bar, The Tobacco Shop). Size won’t be a problem at Matt’s either, we can provide private parties for any group size up to 130, and if you would like to book out the whole premises we can cater for much, much larger groups. Really what we’re saying is that whatever you want, you can have it at Matt’s! If you would like more information on our corporate event options please give us a call on 056 7761696 or send us an e-mail and one of our specialist event planners would be happy to discuss your needs with you. Just click here now for our contact details. Everyone on the night was so friendly from the bar staff to the waiting staff. The food was delicious too!!! We all will be recommending Matt the Millers!